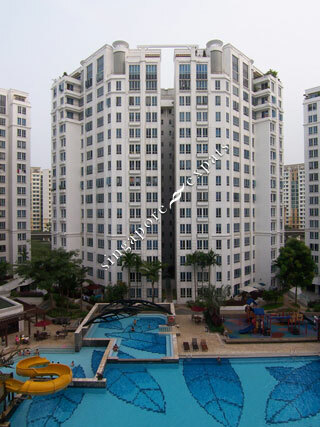 Northoaks is an executive condominium located at Woodlands Crescent, off Woodlands Avenue 7. Is is beside the other EC Woodsvale. Northoaks a family-styled condo with plenty of recreation facilities for the whole family, including big resort swimming pool, gymnasium, tennis, squash, function room, BBQ pits, children's playground, fun pool with water slide. Amenities can be found at the nearby Woodlands HDB housing estate, Sun Plaza mall. Shops, markets, food centres are all within short walking distance. Northoaks is accessible via the Seletar Expressway (SLE), Central Expressway (CTE), Bukit Timah Expressway (BKE) which leads to all parts of Singapore. Driving to the Business District takes about 30 minutes. Big swimming pool, Badminton court, Tennis court,Table tennis court, Sauna,Gym,Reading room, Barbecue etc. A pleasant condo with full facilities. Convenient location. A family-friendy condo. Complete facilities and pleasant peaceful neighbourhood. Near to amenities and expressway. Close proximity to American school and MNCs.